Buhari departs for London – Royal Times of Nigeria. 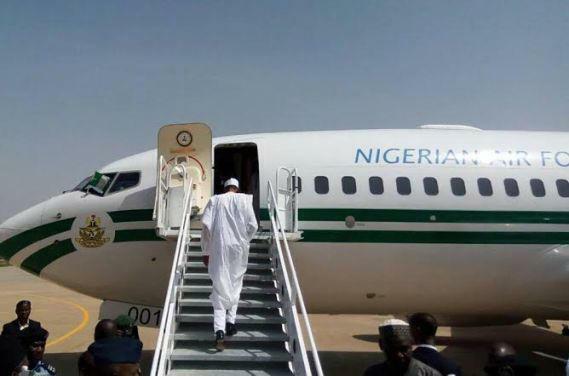 President Muhammadu Buhari has departed Abuja for London where he is scheduled to meet with his doctors. The Minister of Federal Capital Territory, Alhaji Muhammad Bello; the Inspector-General of Police, Ibrahim Idris and Chief of Staff to the President, Malam Abba Kyari were among those at the airport to bid the president farewell. Before leaving Abuja on Tuesday, May 8, Buhari received Letters of Credence from ambassadors of Netherlands, Republic of Botswana and Lebanon to Nigeria. The Senior Special Assistant to the President on Media and Publicity, Garba Shehu, had on Monday in a statement said President Buhari would on Tuesday begin a four-day medical trip to the UK.